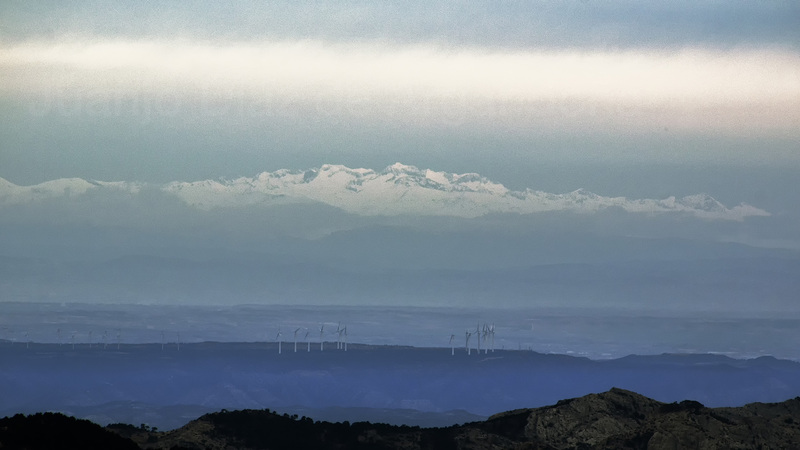 A random sunday of February 2014, with rather low probabilities of success, I went to Mont Caro near Ebro river for trying to photograph Pyrenees range. Even with lots of clouds and significant cold weather, the images managed to became quite impressive. 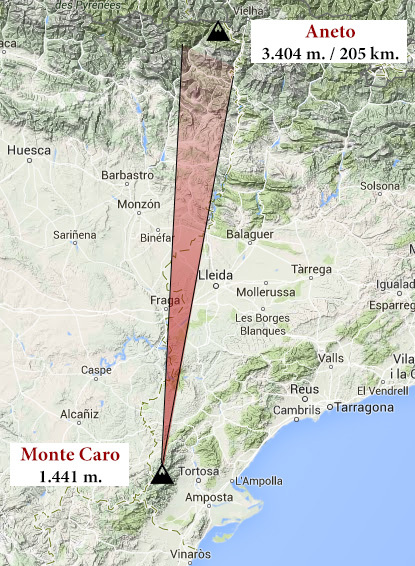 Mont Caro is the highest mountain in Tarragona province, getting to 1.441 meters above sea level. The sea is very close to the mountain, then allowing it to preserve high prominence related to surrounding areas. This is one of the reasons Mont Caro is a very good place to view both Pyrenees and Mallorca island, being the other its ease of reach, as a road covers all the way up from Tortosa, almost at sea level. The weather that day, as stated above, was not great: A front had just passed away and relative humidity at low levels in the atmosphere was decreasing, once the sun was rising and the temperature came up. Anyway, the air was cold as the front preceding this situation came from NW. The air was calm and that was a key factor, as this mountian is well known for this record-breaking wind recordings. It was all in a hurry as another front was about to come with clear intentions of messing up the views, scheduled for the afternoon of this very same day. Luckily the try was succesful and we managed to record the pictures, even with some low clouds that made the whole composition look better. 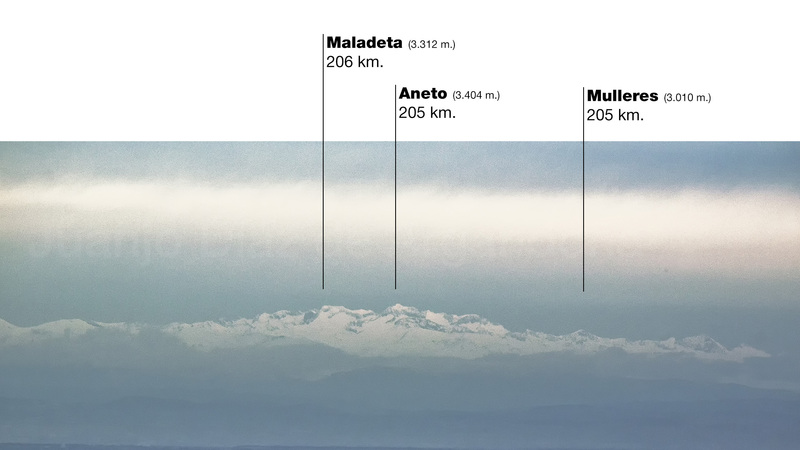 Aneto peak is visible on the center of the image, accompained by some other famous peaks of Maladeta massif, all covered with snow as Spain was just in themid – winter. < Previous Montseny – Serra de Tramuntana | 239 km. Next > Cerro de los Guardas – Veleta | 63 km.